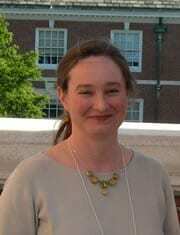 Sarah Woodson is the T. C. Jenkins Professor of Biophysics at Johns Hopkins University. She received her PhD in Biophysical Chemistry in 1987 with Donald Crothers at Yale University, and did postdoctoral research in the laboratory of Thomas Cech at the University of Colorado Boulder from 1987-1990. Her research group studies how RNA molecules fold into specific three-dimensional structures, and how the RNA and proteins components of cellular complexes such as the ribosome come together. In addition to biophysical methods such as X-ray scattering and single-molecule fluorescence, her group has pioneered the application of X-ray hydroxyl radical footprinting to RNA. Dr. Woodson received a Pew Scholar Award in the Biomedical Sciences in 1993, a Camille Dreyfus Teacher-Scholar Award in 1995, was elected an AAAS Fellow in 2010 and the President of the RNA Society (2016-2017). RNA molecules play a role in nearly every aspect of gene expression, including transcription, splicing, protein synthesis, and translational control. In order to perform these diverse functions, RNAs must fold into specific three-dimensional structures. RNA structures are dynamic and plastic, which allows them to form switches and regulators. We are using physical and biochemical methods to understand how RNAs fold. The three main projects in the lab are cooperative folding in group I ribozymes, assembly of the 30S ribosome, and interactions between small anti-sense regulatory RNAs and their mRNA targets. In living cells, RNAs fold as soon as they are transcribed. We are trying to learn how intracellular conditions influence the folding pattern of new transcripts, how proteins and RNAs cooperate during the self-assembly of very large complexes such as the ribosome, and how RNA chaperones act, and how small regulatory RNAs recognize their mRNA targets. Rapid hydroxyl radical footprinting can probe individual tertiary contacts in RNA in milliseconds, yielding “snapshots” of the RNA structure as it forms. This method can also be used to probe the structures of RNPs inside the cell. Ensemble and single-molecule fluorescence spectroscopy, small angle X-ray scattering, and neutron diffraction provide a global picture of RNA dynamics and stability. Native polyacrylamide gel electrophoresis is a simple and direct way of separating long-lived intermediates, and can be coupled to a wide range of biochemical methods. Panja, S., Hua, B., Zegarra, D., Ha, T., Woodson SA. (2017) Metals induce transient folding and activation of the twister ribozyme. Nat. Chem. Biol. 13, 1109-1114. doi: 10.1038/nchembio.2459. Behrouzi, R., J.D. Kilburn, J.H. Roh, R.M. Briber, and Woodson, S.A. (2012) Cooperative tertiary interactions network guides RNA folding. Cell 149: 348-357. Hulscher, R. M., Bohon, J., Rappé, M. C., Gupta, S., D’Mello, R., Sullivan, M., Ralston, C. Y., Chance, M. R., Woodson, S. A. (2016) Probing the structure of ribosome assembly intermediates in vivo using DMS and hydroxyl radical footprinting. Methods 103: 49-56. doi: 10.1016/j.ymeth.2016.03.012. Kim H., Abeysirigunawardena, S., Ranganathan, K., Chen, K., Luthey-Schulten, Z. A., Ha, T., Woodson, S. A. (2014) Protein-guided RNA dynamics during ribosome assembly. Nature 506, 334-338. Santiago-Frangos, A., Kavita, K., Schu, D. J., Gottesman, S. and Woodson, S. A. (2016) C-terminal domain of the RNA chaperone Hfq drives sRNA competition and release of target RNA. Proc. Natl. Acad. Sci. U.S.A., 112: E6089-E6096. Panja, S., Paul, R., Greenberg, M. G. and Woodson, S. A. (2015) Light-triggered RNA annealing by an RNA chaperone. Angew. Chemie Intl. Ed 54, 7281-7284.